Your Blessings and good wishes on our Birthday means a lot ! 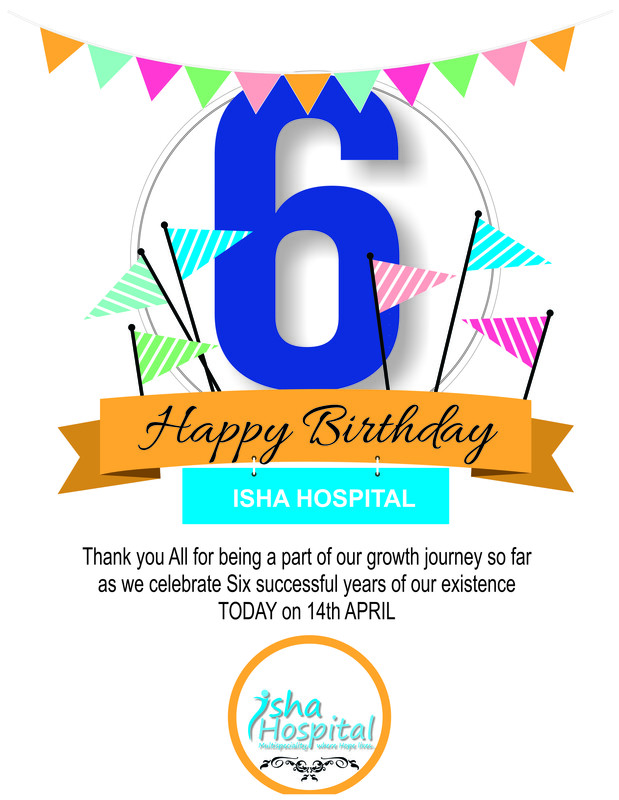 Isha Hospital and its team expresses its profound gratitude and sincere thanks to all its well wishers , who have accompanied us in our journey and have been instrumental in our growth so far. We Thank you in anticipation of your continuous valuable support in the coming years.